Bright Blue held their first public meeting on "Does inequality matter?" 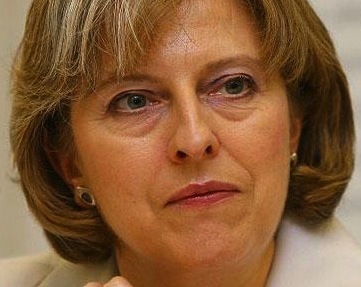 Theresa May was unwilling to defend her party's record on inequality during the 1980s. Bright Blue, a new Conservative party pressure group described as “the Compass of the right”, held their first public meeting last night in Westminster. Shadow secretary of state for work and pensions, Theresa May MP, and Guardian columnist Polly Toynbee discussed the topic of “Does inequality matter?” with the Tory frontbencher unwilling to defend her party’s record on inequality during the Thatcher/Major era. Toynbee outlined the British public believed that society was too unequal. She criticised both Tony Blair and David Cameron for believing that efforts could be focused on the bottom but not the top of the income scale. For May’s benefit, since 1997, the number of children achieving the expected level in English at age 11 has risen by 18 percentage points, and by 16 percentage points in maths while the proportion of young people achieving five or more good GCSEs is up by nearly 20 percentage points. There are over 2.5 million more people in work today than in 1997. Although the impact of the recession has been damaging, unemployment may peak at 2.5 million below the 3 million predicted by many economists. Is it not too narrow to focus on income inequality. Imagine a street, say in a deprived area of Liverpool. You can give the people more income via tax credits and offer them social services, you can improve their lives. But then imagine Steven Gerrard buys a house on the road, suddenly the inequality on the street soars, the Gini number goes beserk. Is this bad? I’d say no. Instead, we should focus on outcomes, like life expectancy, general health, literacy, happiness, crime and the ability to work. I don’t mind what your income is, it’s about how we treat the poor. Sadly Britain has enclaves of deep poverty, as said before life expectancy in some areas of Liverpool, Manchester and Scotland is lower than in Pakistan or Palestine. It is interesting to note that Thatcher remains such a divisive figure. I suspect Brown’s legacy will be universally accepted as disastrous. I found your blog really interesting and informative, thanks for that.